Many small cities in Canada have rich historical roots, thriving economies, and great leisure activities to enjoy if you live in Canada. Find out which 5 cities made the list as the best small cities to live in Canada! Small cities are scattered throughout the Canadian landscape but there are some that stand out more than others. These cities have rich historical roots, thriving economies, and many leisure activities. These cities represent the best quality of life that Canada has to offer and will make a great vacation spot or a place to live and work. 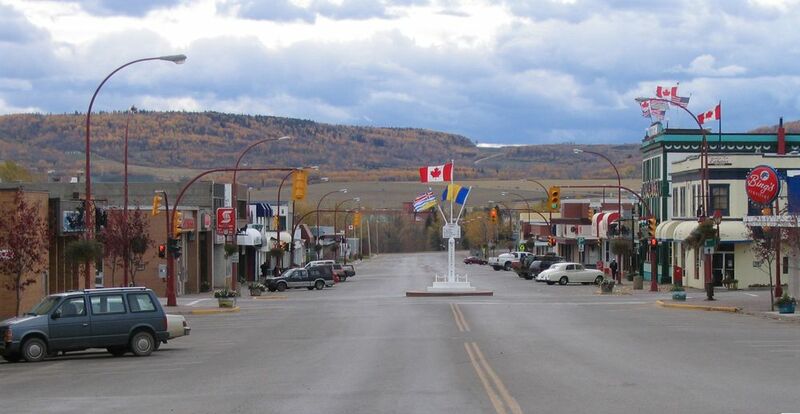 Dawson Creek is located approximately 200 miles north of Prince George BC. Its main industries are renewable and non-renewable energy products, mining, agriculture, forestry and tourism, all of which create countless job opportunities. Over the years, little has changed in Dawson Creek. With a population of only 11 583, the home value average is at $259 000, while a 2-bedroom apartment can be rented for $1085. Dawson Creek also has a thriving arts community. According to the Dawson Creek website, the Community Arts Council is made up of more than 15 artist groups representing historians, performing arts, visual-arts, and literary organizations. Canmore was founded when the Canadian Pacific Railway was built. The town became an official municipality when Queen Victoria granted it a coal mining charter in 1886. Coal mines formed the basis of Canmore's economy for many decades but in 1979, the last mine finally closed down. In 1988, Canmore had the privilege of hosting the Nordic Events for the Calgary Winter Olympics which gave the city an economic boom. Since then, the city population has almost tripled and one of the main industries is tourism. 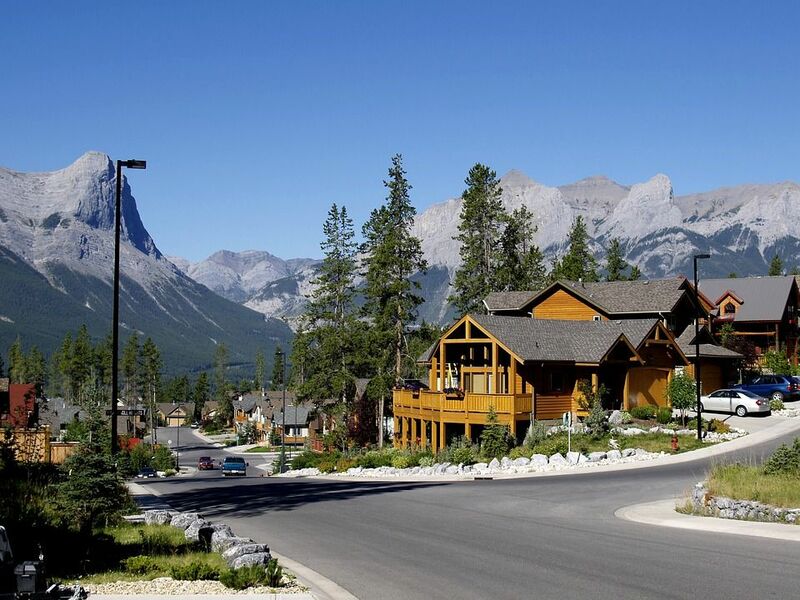 Canmore is the perfect small town with a variety of activities including hiking, climbing and mountain biking. Located in northwest Alberta, Grande Prairie is one of the fastest growing small cities in Canada. The city has a population of more than 55 000 with an average income per household listed at $126,887 which was recorded in 2012. The city has a low unemployment rate of only 2.4% with the average home costing $324,385 while the average rent for a 2 bedroom apartment is $1,124. The city is the perfect place for nature enthusiasts and has many attractions and parks. Hikers, joggers, and bikers will enjoy park trails of more than 18km. Situated on the northern shore of the Great Slave Lake, Yellowknife has a lot to offer residents and visitors. According to the local government website, the city has a population of 19 234 as of the 2011 census. Living and working in Yellowknife, you can expect to make $64,350 a year per person or $138,620 per household. Yellowknife is a prime location for real estate investment with home prices rising each year by 3.4%. Situated in the thick of Canadian wilderness, just a short distance from the Arctic’s edge, the lifestyle in Yellowknife is energetic and geared towards the great outdoors. Residents and visitors to Yellowknife can experience the midnight sun and the aurora borealis, also known as the northern lights. The recent discovery of diamonds near Yellowknife has been a welcome boost to the economy. With distinct local traditions, each of these small cities has something unique to offer. You can experience living in a small town while having access to the same amenities as large cities. If you're looking to go on a family holiday in Canada, these destinations give you a complete picture of what life is like in there. Make sure you get your Canadian Tourist Visa by sticking to our top secrets for success. This is how you can go on the holiday of a lifetime. Take a sneak peek into the bustling French city of Montreal for the most unforgettable locations around that make tourism Canada a top destination! 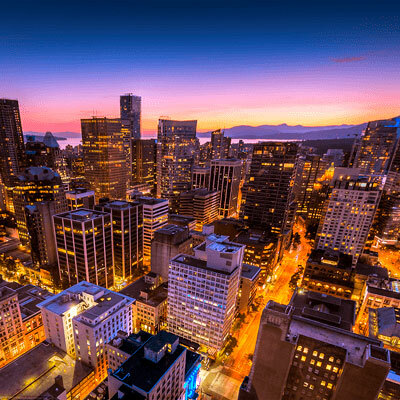 Start Your Working Holiday Canada In The Tourist City of Vancouver! Ready to travel across Canada for an unforgettable vacation? Why not earn some extra cash when you do, with a Working Holiday Canada Visa? Travel to Canada and explore these 5 wonders that make the country truly unique. Lakes, forests and parks should all be at the top of your next visit. Canada Visa allows you to visit the Great White North. The country has something to offer everyone, like explorers, adventurers, families and more.